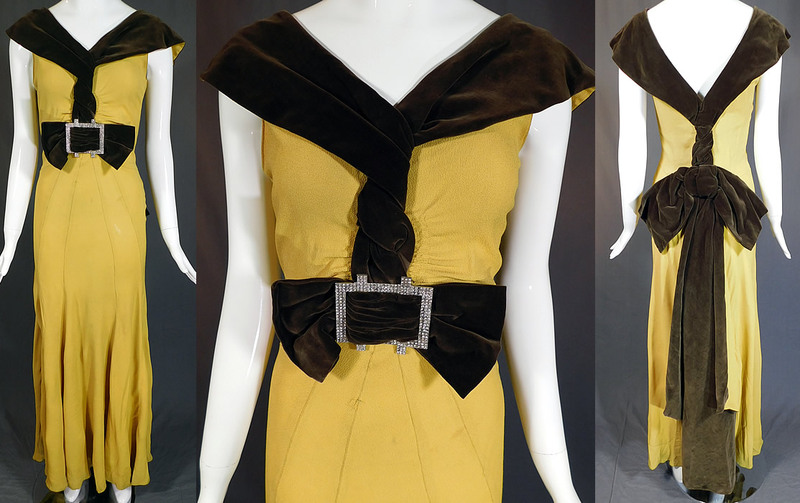 This vintage chartreuse crepe brown velvet belted bow rhinestone evening gown dress dates from the 1930s. 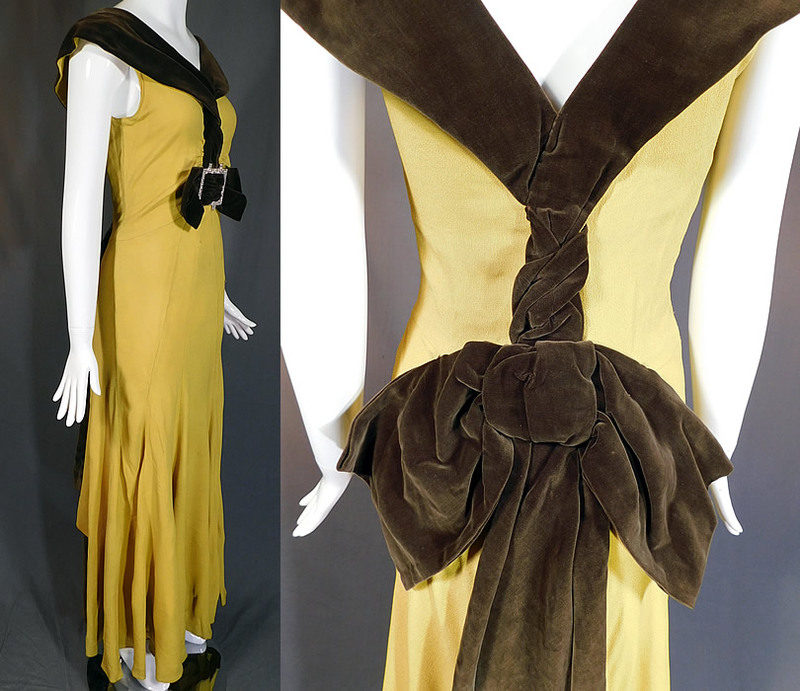 It is made of a chartreuse yellow green color silk crepe de chine fabric with dark brown velvet trim accents. 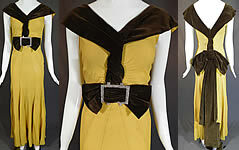 This gorgeous gown evening dress is a long floor length, with a bias cut form fitting style, brown velvet shawl collar trim twisted down the front and back with bustle bow drape, backless, a bow front waist with large rhinestone buckle trim, side snap closures which have been sewn closed and is unlined. The dress measures 59 inches long, with a 34 inch bust, 26 inch waist and 44 inch hips. It is in good condition, with only a few faint small stains on the skirt and underarms. 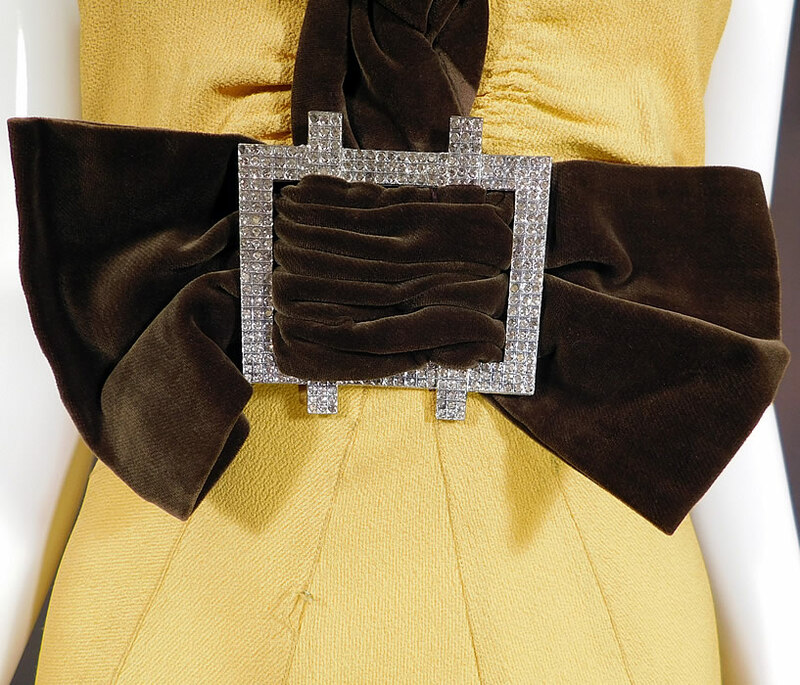 This is truly a luxurious piece of Art Deco wearable textile art!